Western Isles Carers, Users and Supporters Network (WICUSN) through the media of your newspaper would like to address this letter to the Chair, Chief Executive and the Medical Director of the Western Isles Health Board (WIHB). In recent weeks two cases highlighting failure of NHS 24 have been reported in your paper. WICUSN would ask those holding these posts of responsibility to inform the public of what steps are being taken by WIHB to address these failures. We appreciate that the WIHB is not responsible for the administration or running of NHS 24, but it is not good enough for them to state that the faults lay with NHS 24, which is probably the case. We would expect and hope that the WIHB is asking questions, such as why in the case of the North Tolsta lady was the ambulance recalled when it was a few miles from her home and who ordered the recall? What contingency plans have WIHB agreed with the Scottish Ambulance Service to override contrary instructions given by NHS 24? After all the advanced skills of local paramedics has been among the reasons given by the board to underline their confidence in the out of hours service. Re the gentleman in Harris again questions need to be asked about the training and experience of the call handler of them who are responsible for the safe delivery of NHS 24 and seeking assurance of them that anything of this nature will not be repeated. What plans do the board have to inform the public about the outcomes of the investigations into the decisions made about the management of the two patients mentioned? WICUSN believes that the Western Isles Health Board has a responsibility to ensure safe delivery of all aspects of health care in the Western Isles. And we would ask for a public response from those in these three lead positions in the WIHB to the above as the people of the Islands need to be reassured that if they need help in a medical emergency that help will be promptly delivered. 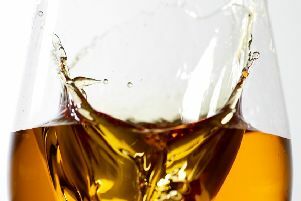 The revelation that the Western Isles is the worst place in Scotland for alcohol-related illness and death sits very inconveniently and uncomfortably alongside the related news that investors behind the recently opened ‘ Hearach ‘ Scotch Whisky distillery in Tarbert were awarded nearly £ 3 million of public money in various forms of grant aid by the Scottish Government and its agencies. Though the occasional alcoholic drink or cigarette is not necessarily harmful to one’s health, alcohol consumption and tobacco smoking are very similar in nature in that they both offer a short-term pleasurable experience but can also lead to debilitating illnesses that adversely affect the sufferer and those around them. The cost in human misery, and in diverting Scotland’s limited financial resources to treat the effects of these physical and mental conditions in all their forms, is incalculable. This similarity means that the Scottish Government, in overlooking the health issues of alcohol consumption when awarding the’ Hearach’ distillery operators considerable grant aid, would be obliged to offer the same generous terms to investors who planned to open a cigarette-manufacturing plant in Lewis to produce a new smoking experience with a locally- flavoured brand of cigarette named ‘Leodhasach Full Strength’. In pointing our imaginary investors empty-handed to the exit door, the Scottish Government could rightly be accused of discrimination. I would suggest that the reason for such double-standards is that the SNP wish to condition the population into believing that any product bearing the word ‘Scotch’ or ‘ Scottish’ must by definition be highly desirable, exceptionally wholesome and have no negative consequences for the consumer - a truly wonderful product! ‘Hearach’ Scotch Whisky is merely an appetiser for the ultimate product the SNP wish to sell us which is Scottish Independence. Further opportunities to take advantage of the Scottish Government’s generosity towards all things ‘ Scotch ‘may arise further north of Tarbert at the ‘Clisham’. This rugged peak is often shrouded by Scotch mist just waiting to be exploited by some visionary local entrepreneur who could perfect a method of bottling and marketing this unique product to the masses. This in the certainty that the Scottish government would open their wallets and throw money at them. But these wallets contain a finite sum of money which the SNP- led government can choose to spend either on the likes of Scotch Whisky distillery operators or on essentials such as health and education. They most certainly don’t have the financial luxury of spending it on both. Unless of course the Holyrood government believes the descending Scotch mist on the Clisham contains a natural essence that promotes in the surrounding Scots pine forestry plantations the growth of a precious and valuable foliage of which it can be truthfully said that money does grow on trees. Having recently returned from the British Dressage Team Quest National Championships I felt compelled to write to express my admiration for the teams from Stornoway that competed at the event. In a highly competitive environment they were, by far, the most popular teams there and rode with honour in a daunting ,fabulous venue. The teams and parents were great fun to know and spend time with and I know the riders gained greatly from the experience of the prestigious competition. They are a credit to your community and great credit is due to your community for supporting them in their trip. A special mention from me would go the Chanelle Divers who became a one woman Stornaway tourist board as she made countless friends at the event. Our team (Team Spanks) felt great pride in the ‘Stornoway Legends’ and ‘Jaam’’s achievements, hope you do too, and thank you to everyone who made their journey happen. I refer to the welcome contribution your religious columnists​ Messrs. Taggart and Campbell make to the Gazette, for between them these two gentlemen provide much of worth to ponder. And the Gazette of 19th November was no exception, where both in different ways set down their thoughts on the tragic events that have recently befallen the citizens of Paris. Rev. Taggart wrote well and concluded by saying that we offer our prayers in support, to which expression of sympathy and solidarity all would most readily agree. He prayed also for this insanity to end, and we would say amen to that too, though my feeling is that the insanity is more likely to worsen. In view of its very nature I much doubt if extremism of this kind can be contained, far less obliterated. Which brings me to Rev. Campbell’s interesting piece and his toiling (as Calvinists seem the more prone to do) over the sovereignty of God. Where is God in all of this, and why doesn’t He intervene etc. etc. I imagine numberless theologians have wrestled with this over the centuries, writing numberless books that lead nowhere. I am a simple man and my take on it would be simple also, for it seems to me a sovereign God in wisdom bestowed free-will on mankind. By virtue of this free-will mankind can choose which way he goes, and what we see today in Paris and elsewhere is a consequences of that. It’s well summed-up in the opener to John’s gospel, where we’re told that in Jesus light came into the world, and men chose darkness rather than light. That’s not to say that God isn’t sovereign. It’s my belief He is, always was and always will be, and come the end time the last shout will most certainly be His. Proposals by the UK Department for Culture, Media and Sport to cut £30m from Big Lottery funding for charities in Scotland will prove devastating and impact on the most vulnerable in our local communities. It emerged recently that the Department is proposing to reduce the money bound for the Lottery Fund from 40 per cent to 25 per cent, so that more can be directed to fund the arts and sport. However, these cuts would leave the Big Lottery in Scotland virtually unable to fund new work, with existing commitments swallowing up almost all its remaining funds. This seems rather odd, in that in the run up to the independence referendum the pro-Unionist Better Together campaign argued that the only way to protect lottery funding was through the Union. It is perverse to cut support from charities when there has never been a greater need due to government austerity. Indeed, the Trussell Trust have indicated that food bank use in Scotland has increased to record levels, with more than 60,000 referrals over a six month period. To add insult to injury the Scottish Government has never even been consulted on such a move. UK Ministers should resist the temptation to adjust lottery spending to accommodate pressure on public expenditure, and should be doing everything it can to protect Big Lottery Fund funding, not looking to cut it. Storm Abigail may have scuppered the original plans of many Island schools in their fundraising efforts for Children in Need, but that was all made up for this week, when the fundraising extravaganza once again swept throughout the region on a tidal wave of enthusiastic support. Schools and organisations across the Western Isles are happy to give their full backing to this charity campaign year after year raising thousands for good causes the length and breadth of the U.K. This week we have a special gallery of pictures from some of those events on pages 10 and 11 (if your event hasn’t been featured but you would like to see it highlighted please email us the details). Schoolkids and other members of the community have more than done their part to add wealth to this worthy cause. But the efforts of Islanders for charity goes far beyond a once-a-year commitment. Fundraisers are ongoing for local care homes, children’s charities and overseas causes each week and we highlight another fantastic effort ‘The St Kilda Swim 2015’ on page 8, as the team hand out the cheques to local and national charities, thanks to the funds raised from their epic challenge. Our Picture of the Week is by reader Don Maclean who took this photo recently of a large piece of driftwood on the slipway at South Bragar.